Note: If you are already familiar with Node.js and npm, you may want to skip this paragraph. The Node.js Package Manager (or npm for short) is your starting point when creating a new Angular 2 application. In the Node.js world, all applications and libraries are organized in packages. Hence, your new application will be just another package. This however does not mean that it’s automatically being published anywhere. And finally, packages can reference other packages, which is what we call a dependency. All dependencies are placed in a subdirectory called node_modules. Before you start, make sure that you have installed an up-to-date version of Node.js. The installation includes npm. In order to begin, create a new directory where you want your app to reside and run npm init in this directory from your command line. This allows you to specify some properties of the newly-created package and eventually creates a file called package.json based on your input. This file also contains the list of dependencies. Note: At the time of this writing, Beta 12 was the latest version of Angular 2. This could have changed in the meantime. Those dependencies on the same hierarchical level have to be installed separately: For example, the es6-shim package is required and @^0.35.0 means that we need version 0.35.0 of it (or a later version, because of the circumflex, ^—also referred to as caret dependency). You can achieve this by calling npm i [email protected], where npm i is a short-hand syntax for npm install. Please note that we intentionally omitted the caret dependency here and lock the version to 0.35.0. In the past, there were some unpleasant surprises, as later versions introduced breaking changes. Things you don’t want. This step has to be repeated for all of the packages noted above. By the way: You can pass more than one argument to npm i, so npm i [email protected] [email protected] … will do the trick as well. Now let’s have a look at the dependencies we have to install explicitly. It’s quite likely that this dependency won’t be required any longer at some point in the future. As soon as your targeted browsers or platforms understand the required language features of ECMAScript 2015, you can drop this dependency. Please note: Internet Explorer (Angular 2 supports versions 9, 10 and 11) requires an additional set of shims as described here. Note: ES6 Promise is no longer required starting from Beta 12. ES6 Shim contains a shim for Promises as well. Also this package could be dropped some day when your targeted browsers or platforms include support for ES6 promises. The metadata reflection of Angular 2 heavily relies on this API. Setting up reflection is the very first thing that happens as soon as you call Angular’s bootstrap method. Thus, the polyfill is included in angular2-polyfills.js, a script which is mandatory for all current browsers and platforms. angular2-polyfills.js also includes a second polyfill, called zone.js. Zones are a language feature of Google’s programming language Dart. Zones represent an execution context for asynchronous operations. This context simplifies the debugging, tracing, testing and mocking of those. Pascal Precht has an excellent article about Understanding Zones, and there’s a nice talk about zones from Brian Ford at ng-conf 2014. If you have worked with AngularJS (1.x) before, you will have come across $rootScope.$apply. AngularJS can’t track any changes that happen outside of its digest cycle and hence has to be explicitly informed if something has changed outside of Angular’s realm. zone.js hooks into a whole bunch of browser functionalities by monkey-patching them, such as setTimeout, requestAnimationFrame and even attaches to browser events such as geolocation changes. This library therefore knows when asynchronous operations are done or something else could have changed due to a browser event. The so called Observables represent an event stream. In contrast to promises, observables are lazy and are better suited to handle multiple events. Guess what, there’s also a specification of Observables for ES7. Following this specification is one goal of RxJS, which is currently in beta. Observables are used all over the place in Angular 2, including its Http service, which makes heavy use of them. As a result, RxJS is also a mandatory dependency of Angular 2. 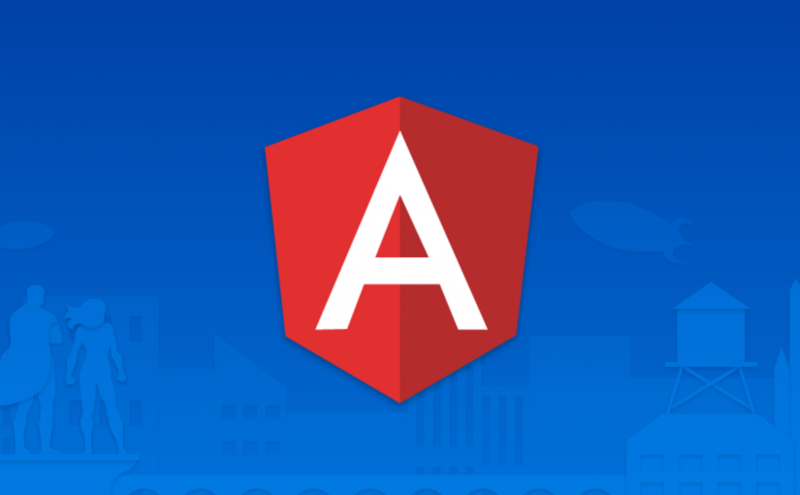 The Angular 2 logo licensed under the CC BY-SA 3.0 Unported License. The Angular 2 artwork is licensed under the CC BY 4.0 Unported License.